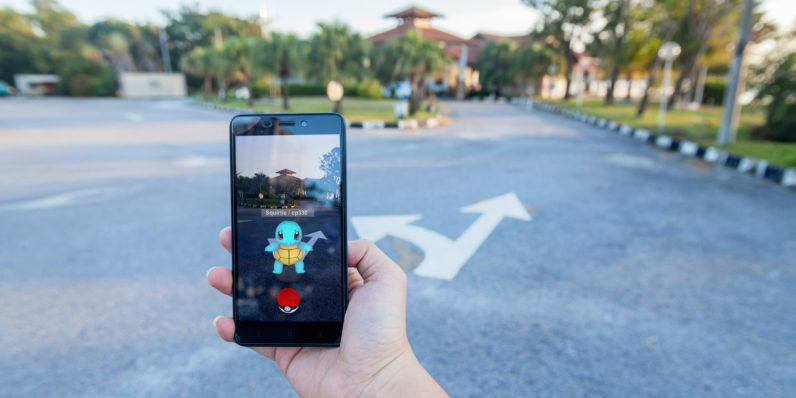 Credit: KeongDaGreat / Shutterstock, Inc.
Niantic today announced it’ll soon be adding Friends and Trading features to Pokémon Go, meaning you have a new reason to reinstall the app on your phone. Once connected, friends they can team up together to battle at Gyms, participate in Raid Battles, or send Gifts to increase their Friendship level. Trainers can build their Friendship level, earning bonuses in Raid Battles and at Gyms, as well as Friendship level milestone rewards on their way to Best Friend status. So apparently you have to be popular if you want to succeed? I knew there was a catch somewhere. Why it matters: I don’t think I can overstate how important Pokémon GO was when it first released. The amount of people running around catching ’em all literally reshaped the landscape, though not always for the better. The boost it gave to augmented reality is still being felt today — Jurassic World and Harry Potter are next up in the clone batch. But popularity has fallen off recently, and you’ll likely see fewer people running around making flicking motions at their phones. So to bring back the crowds, Niantic’s elegant solution is to add a feature that’s been a part of the Pokemon franchise for over twenty years. The capture mechanic is fun, but you’re a lone wolf, you’re going out there on your own. Maybe you’re with friends, but there’s not that, kind of, connected experience. If there’s one way of getting people to interact with friends in-game more, it’d be adding a Friends feature. And tossing a few of the more neglected members of my stable to friendly faces sounds a bit more pleasantly social than what I’m doing right now.